Brown Dog Tick: This 1/8 to 12 inch reddishbrown tick is the most common indoor tick, mostly attacking dogs, but sometimes people, cats and other animals. Each stage (larva, nymph and adult) feeds once over the course of several days until fully engorged, and then drops to the ground, where the young molt to the next stage and the adult female seeks a place to lay up to 5,000 eggs. Dogs pick up ticks from infested premises, not directly from other dogs. Each stage can survive months until a dog comes along – adults living up to 1 1/2 years without feeding. Lone Star Tick: Darker tick, found mostly in South and Midwest. Like the American dog tick, Rocky Mountain spotted fever tick, deer tick and other “wood ticks”, this tick mostly lives in woods and fields. An important vector of human diseases, people and pets are attacked when visiting tick country, or when these ticks are carried into suburbs by infested wild animals. As in the brown dog tick, each stage drops off the animal after feeding and new victims pick up infestations from infested locations. Clover Mites: These are usually bright red, smaller than a pinhead but visible to the naked eye. They are distinguished from other mites by their very long, forward-projecting front legs. They feed on grass, clover and other plants found in yards, thriving especially on well-fertilized lawns. 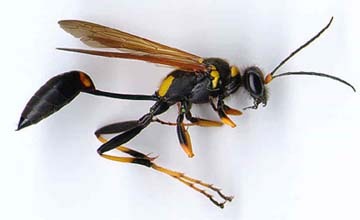 They invade adjacent buildings during summer droughts or at the onset of cold weather. Outdoors they mostly lay their eggs in crevices of trees, fences or foundations. Some, over winter lay eggs indoors, especially in wall cavities near doors and windows. They don’t bite people or pets, but when they invade from outside or emerge from indoor winter hiding places their sheer numbers create a major nuisance. Microscopic Dust Mites: are the commonest mites in homes. They eat organic matter, especially dander in carpets and bedding. They don’t attack people but their presence causes allergic reactions. Other mites; including some food mites and bird and rodent mites, attack people and cause injury and disease. What Can You Do Against Ticks and Mites? Various medical or veterinary conditions are caused directly or indirectly by mites or ticks, and their diagnosis and treatment is a job for experienced medical professionals or veterinarians. For instance, the human itch mite parasitizes people causing severe itching and a condition known as scabies. It spreads directly from person to person and must therefore be dealt with as a medical problem, with treatments focused on affected people and their clothing. Likewise, people who contract the various diseases transmitted by ticks and mites must be treated by medical professionals. However, apart from scabies, most problems from ticks and mites are caused by species which spend the majority of their time living apart from people. This makes them vulnerable to a range of non-medical pest control measures aimed at their habitats and alternative hosts. Here are 10 measures you can carry out that will discourage ticks and mites and complement any measures taken by medical or pest control professionals. 1. Confine your pets and observe leash laws to reduce risks of them picking up parasites from other pets or wild animals. 2. Screen or seal openings which allow entry of rodents carrying ticks and mites. 3. Discourage birds nesting or roosting on the building and remove old nests and droppings to avoid problems from fowl miles, pigeon ticks, etc. 4. Keep grass, weeds and brush cut short to reduce the humidity, shelter and resting places preferred by many mites and ticks. 5. Maintain a bare strip of soil or gravel 2 to 3 feet wide around the foundation to discourage clover mites and many other crawling pests from approaching the building. 6. Seal cracks and crevices in foundations and siding to discourage egg laying or sheltering of ticks. 7. Keep food storage areas clean and dry and rotate stocks of food (especially flour, cereal products, dried fruits and cheese). Dispose of items already infested with flour mites, grain mites, cheese mites, etc. 8. Dust mites and other indoor mites fail to thrive and can be killed if the humidity is reduced to below 50%. Raising the temperature and improving ventilation can help reduce humidity. 9. Thoroughly vacuum carpets and furnishings to help control dust mites. Clean or destroy pet bedding infested with brown dog ticks. 10. Avoid sitting on the ground or logs and regularly check your own body (esp. back of head) and your dog (esp. ears, back and between toes) in tick country. Repellents applied to socks and trousers give some protection. 1. Mites and ticks are related to spiders and scorpions. The adults have 8 legs, a rounded body and no wings. 2. Ticks are all blood sucking parasites of vertebrates, attacking mammals, birds and reptiles. 3. Many species of tick attack more than one type of host and, though preferring wildlife or pets, they may also attack people. 6. Many mites eat and damage plants or stored food. Other species are parasites and have been found everywhere – in nostrils of seals, gills of crayfish, ears of moths, and in hair follicles of most people. 7. Over 1 million clover mites can invade a home, and when accidentally crushed they leave red stains on drapes, shades, walls, and documents. and lead to rashes and ulceration. A neurotoxin injected by some ticks can even cause paralysis and death. 9. Some mite spread diseases from animals to people, including rickettsial pox, endemic typhus and encephalitis. Dust mites affect 40% of allergy sufferers and are the biggest single cause of asthma. 10. Ticks spread more diseases to humans than mites or any other creature, including tularemia, Colorado tick fever, Rocky Mountain spotted fever, relapsing fever and the notorious Lyme disease. If you’re interested in the Tick and Mite Pest Control Service offered by Termite Terry please feel free to call us at 949-631-7348 in order to set up an appointment or use our online Order Form and we’ll get back to you as soon as possible.